The one with Finger Paints Circus Peanuts! Happy Sunday! How is everyone doing? I feel a lot better than I have all week, but I've still got some gunk creeping around. Wasn't going to stop me from bringing you the new Finger Paints Gumdrops and Lollipops collection! 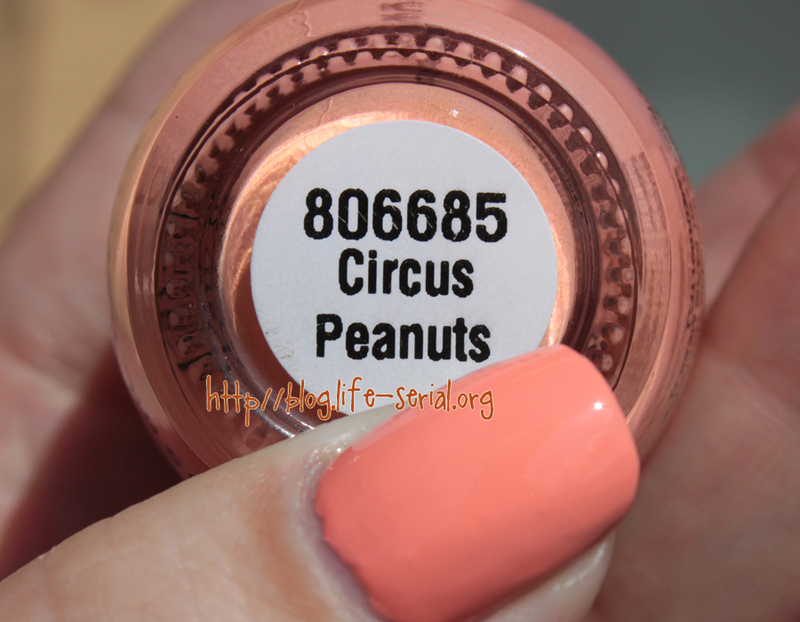 Today I have for you Circus Peanuts, a bright peach-y, coral-y orange! ...which by default makes it my favorite! It is a tad on the pastel side for me, but still super pretty! The application was a little iffy. A tad on the thick side and a wee bit streaky. However, two coats made it smooth and happy. I could forsee this being a nice mess for me at various times. It's all in the application. It's not the actual color of Circus Peanuts. It's definitely more peach than the candy. 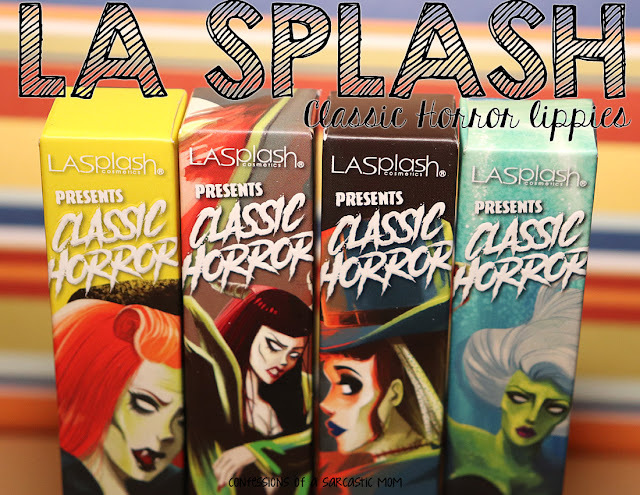 I'm loving this one :) hehe Just make sure you watch your application so that it doesn't get goopy and streaky. 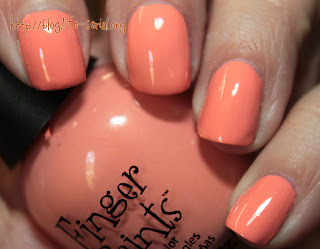 Like I said, I could totally see this polish giving me fits next time I try to wear it! Do you guys have a tempermental polish in your collection?